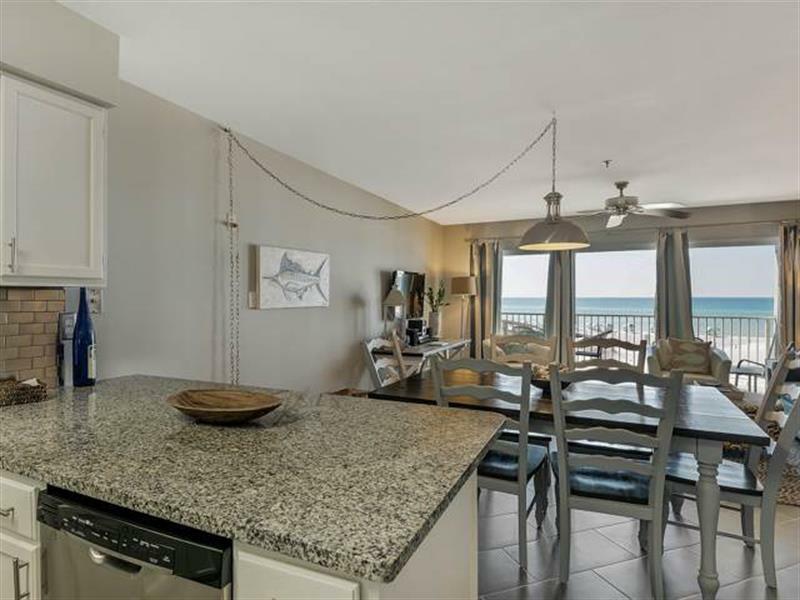 This gulf front unit has a unique nautical touch in grey and blue colors. 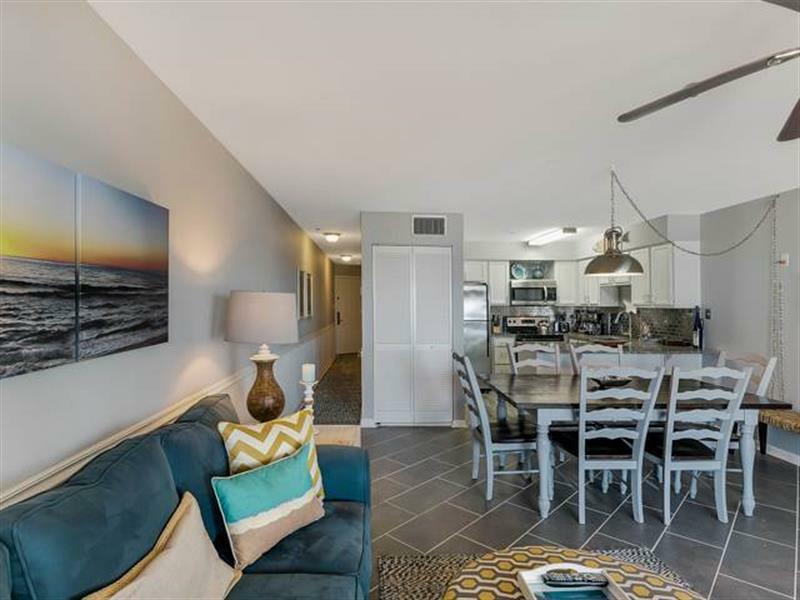 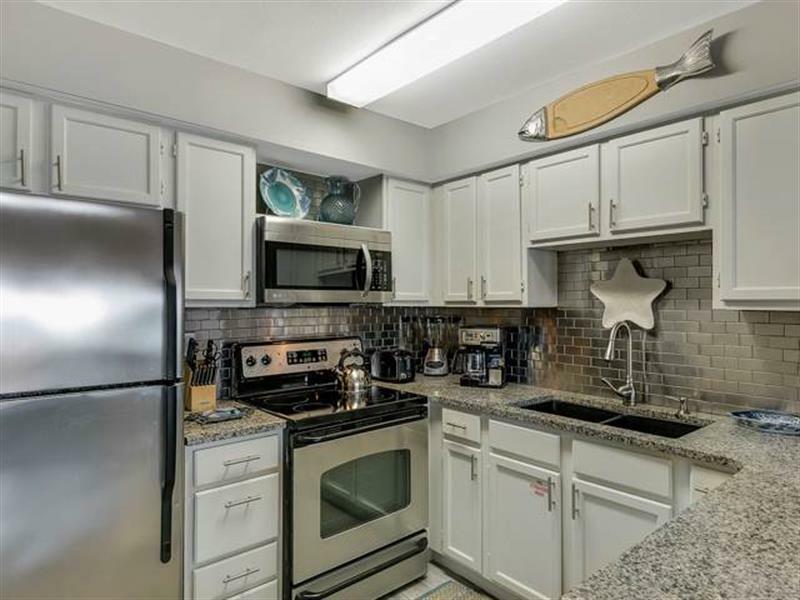 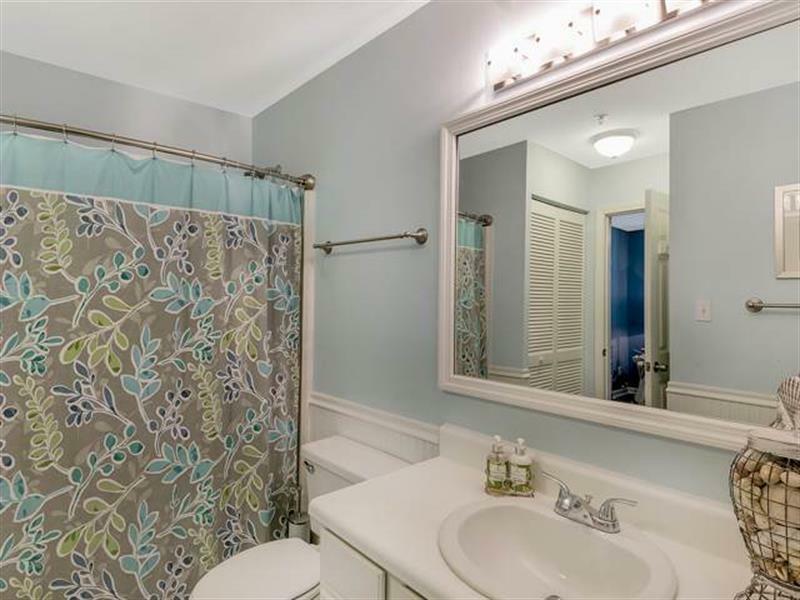 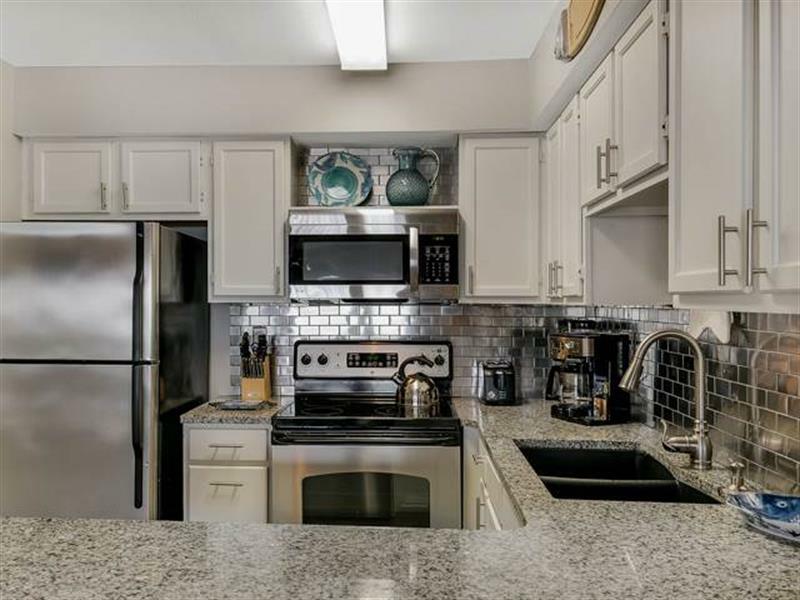 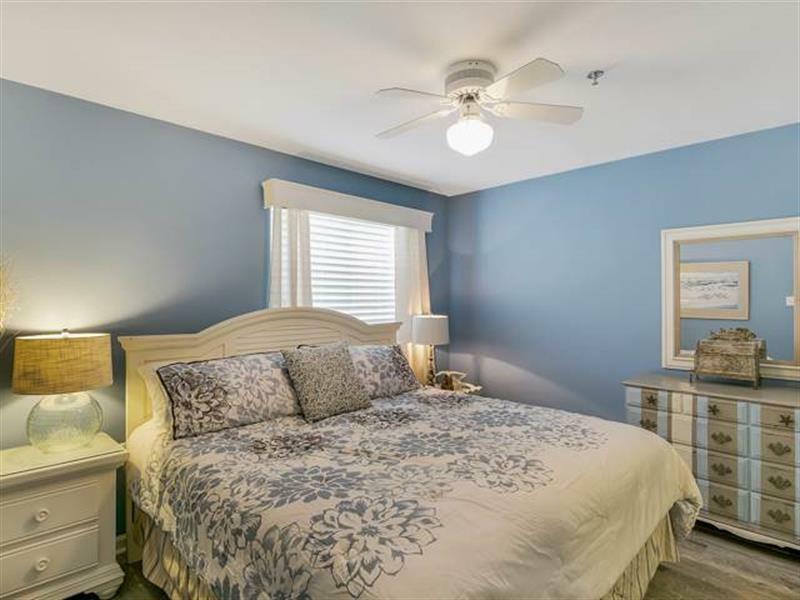 Come and stay in this newly renovated complex tucked away in Seagrove Beach. 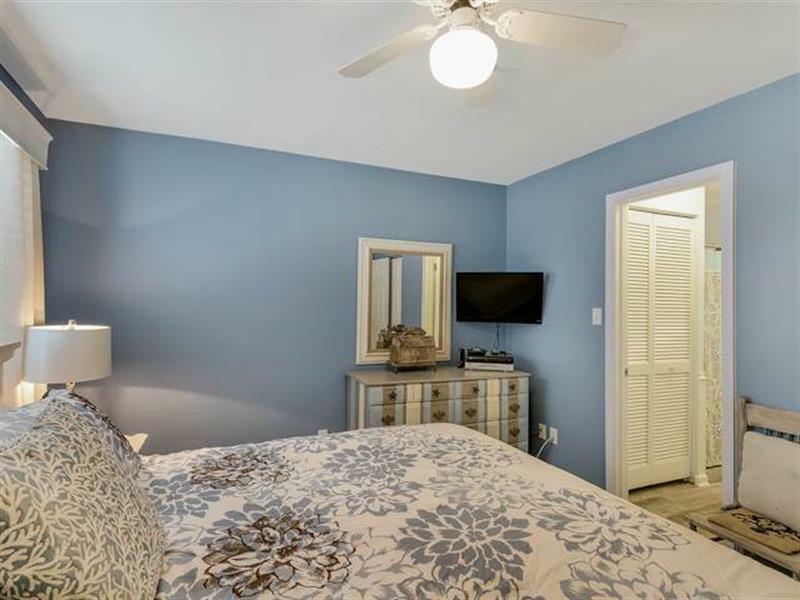 The bedroom features king-size bed with additional TV, DVD player. 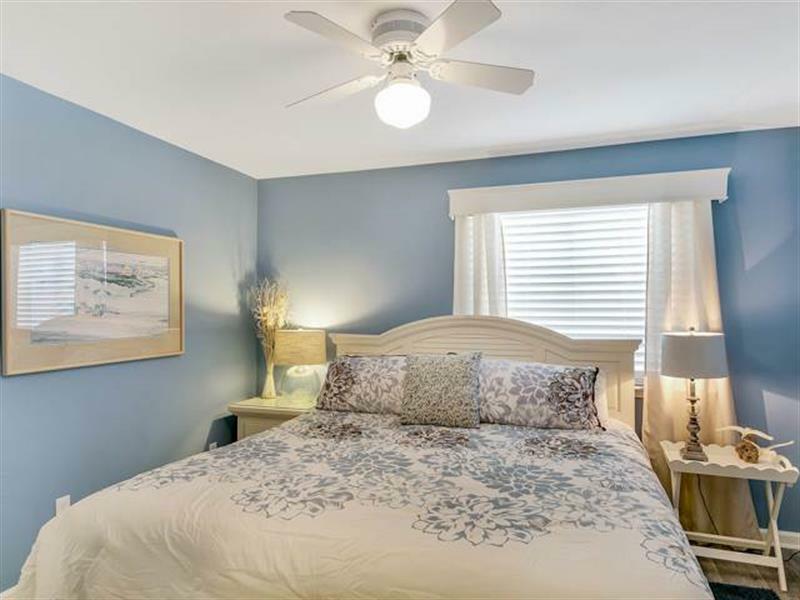 Also use of the queen sleep sofa in living room and wake up to a sunrise. 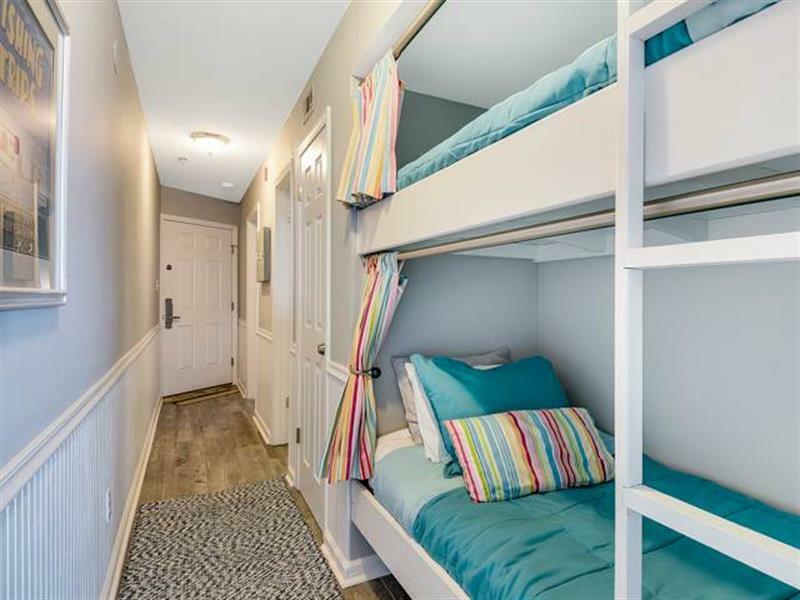 Children love the hall bunk beds with privacy curtains. 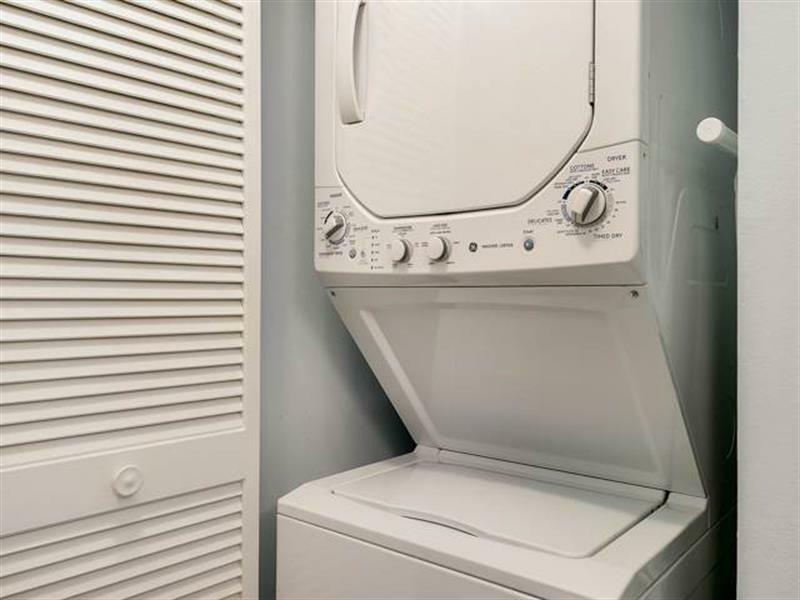 This unit is equipped with wireless internet. 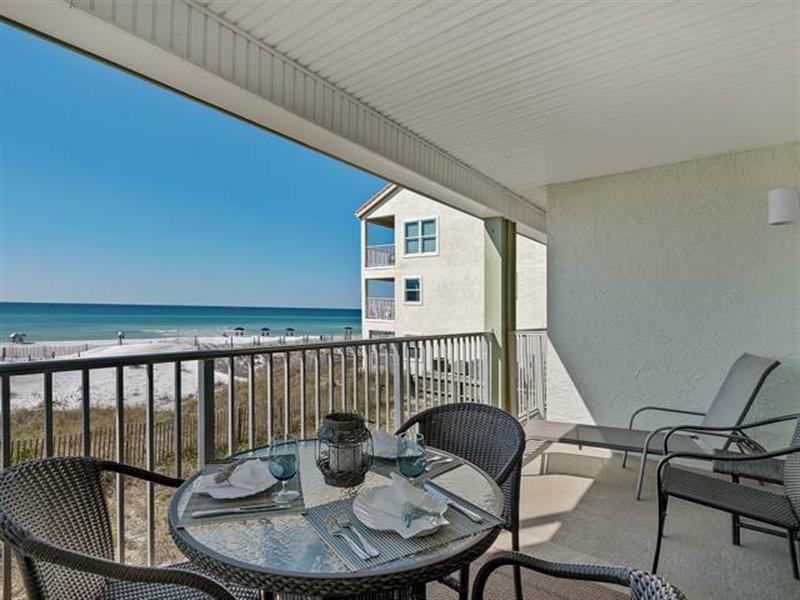 Relax or dine on our patio furniture listening to the waves crash on the shore. 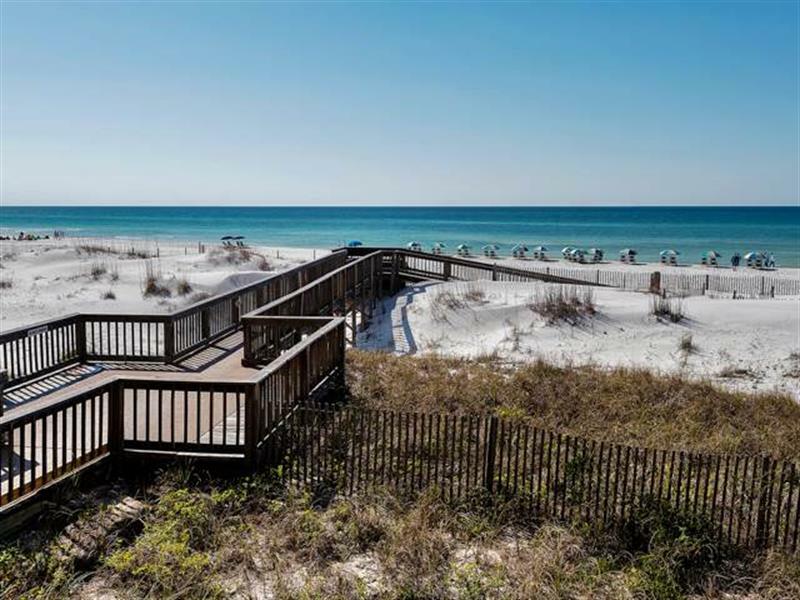 You will enjoy the benefits of this location including the views and accessibility to the Gulf of Mexico and Eastern Lake to paddle board, kayak and fish. 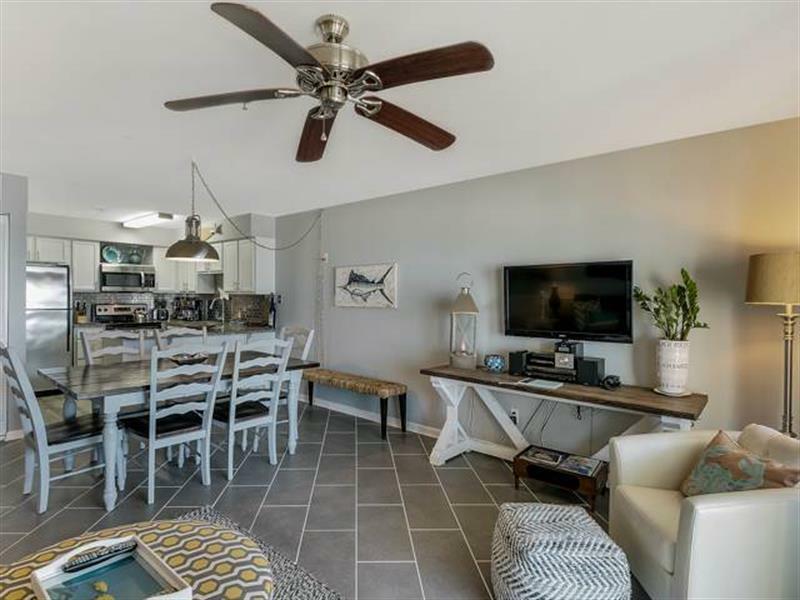 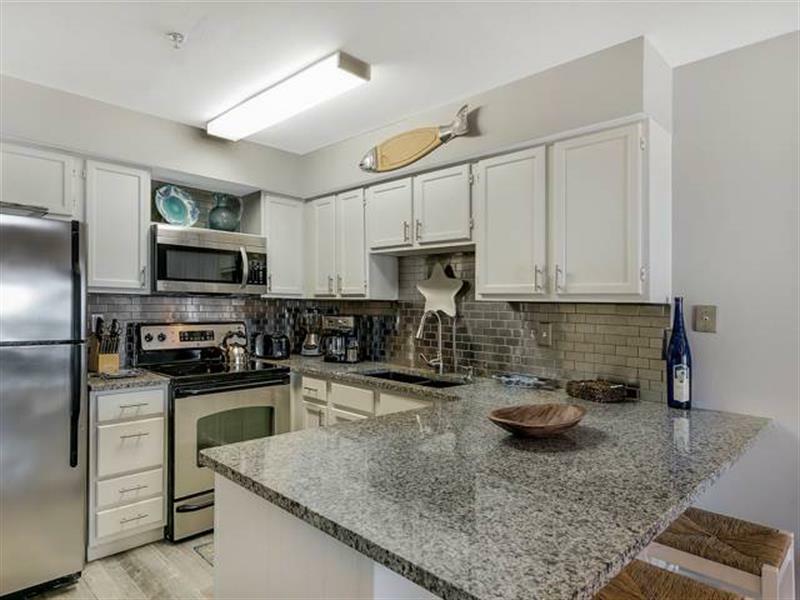 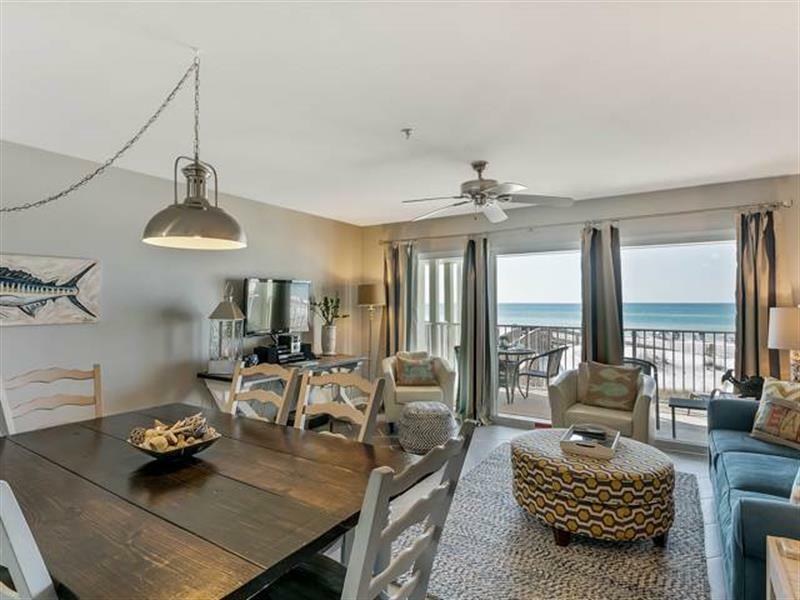 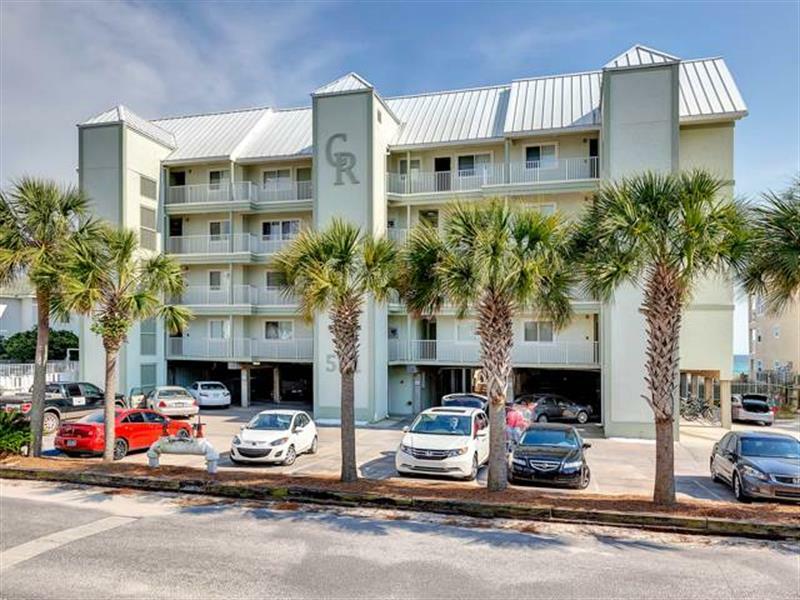 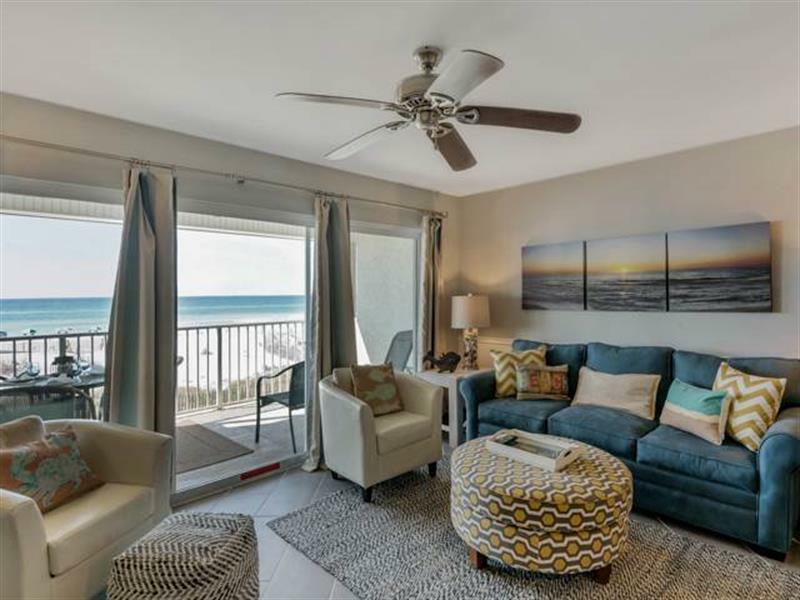 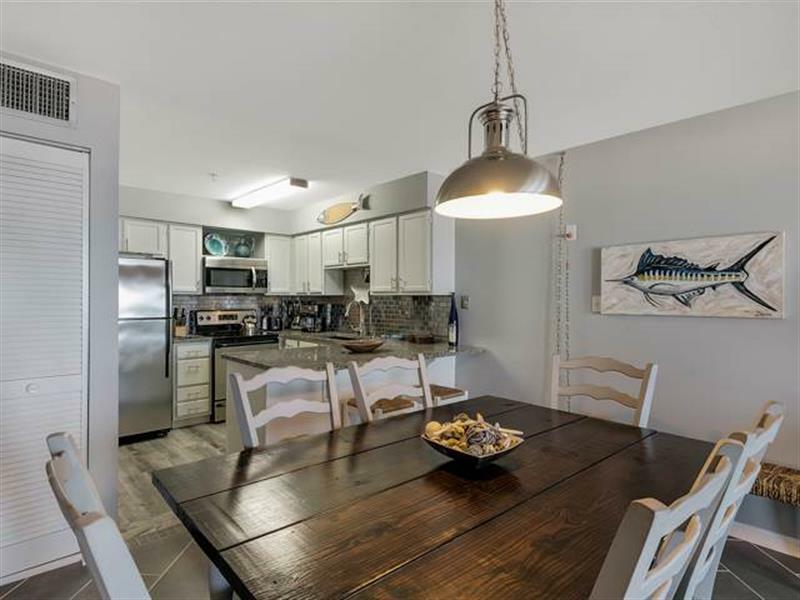 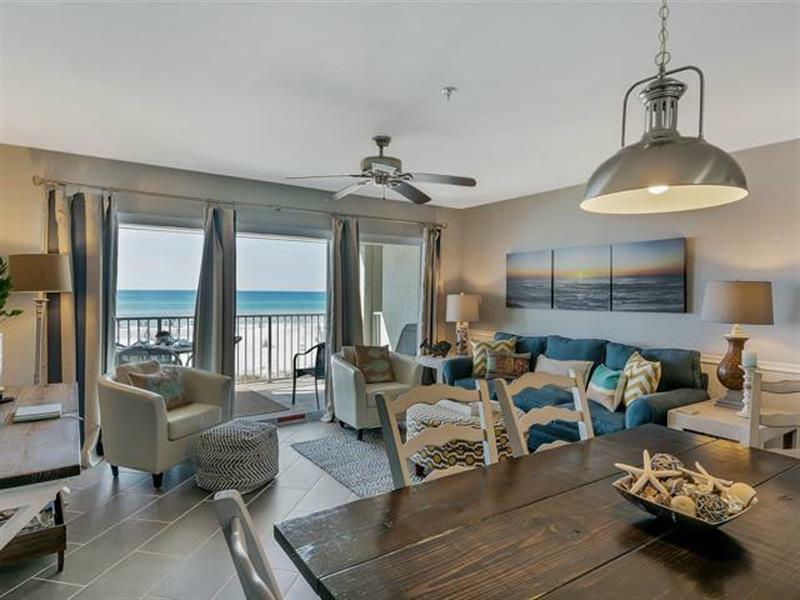 Within a mile finds you in the heart of Seagrove Beach with quaint shops and locally owned restaurants including the highly acclaimed Café 30A. 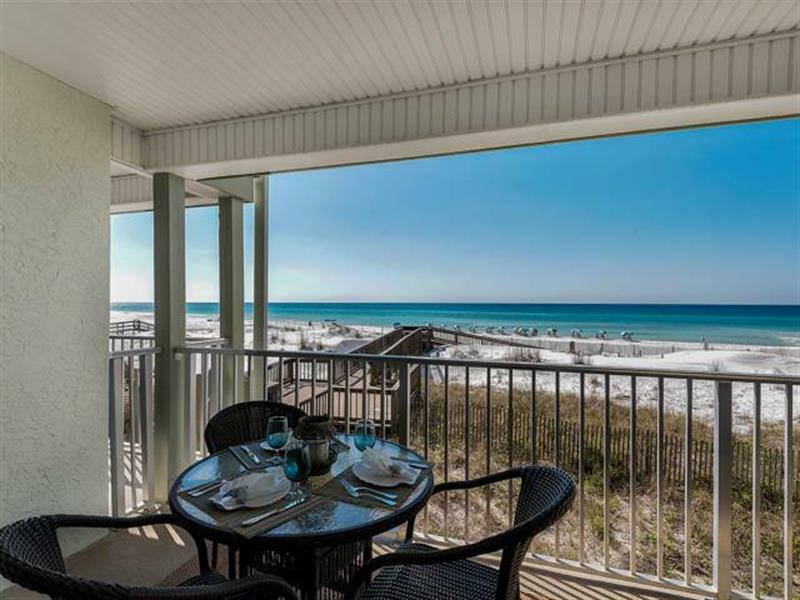 Located between famous Seaside and Rosemary Beach, enjoy the day on beach or a bike ride along Scenic 30-A.